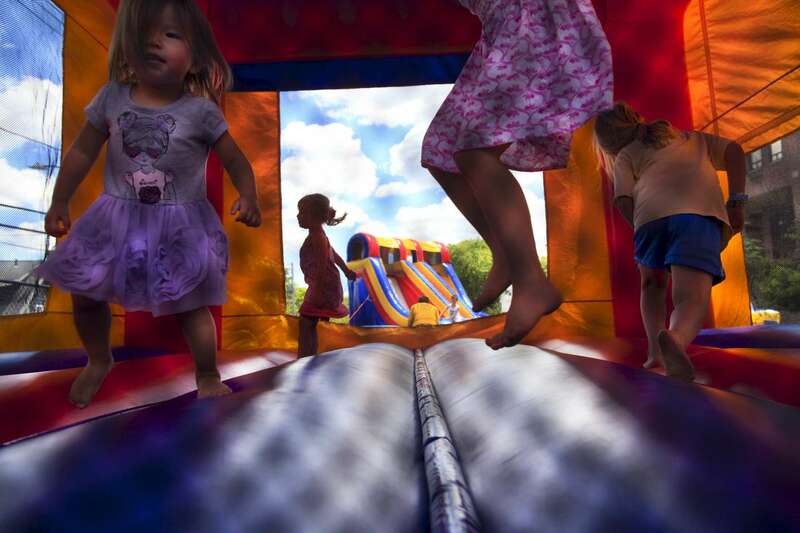 6/07/2014 - Arlington, MA - Saint Athanasius the Great Greek Orthodox Church - Mackenzie Bryan, cq, of Phoenix, AZ, enjoyed a Busy Bee Jumpers bouncer during the Arlington Greek Festival at Saint Athanasius the Great Greek Orthodox Church on Saturday, June 7, 2014. Topic: bouncehouse. Story by Kelly Gifford. Dina Rudick/Globe Staff.